A traditional French cassoulet is quite rich and heavy, including white beans and meat such as duck or sausage. I am always on the lookout for lighter and vegetarian versions of dishes, and particularly with the cooler weather here, I’ve enjoyed having hot leftovers for lunch every day at work. This is a simple go-to stew of sorts that I’ve made multiple times – it makes a nice big batch that I can eat throughout the week. I love incorporating butternut squash into anything, and the leeks add a nice touch of flavour that onions wouldn’t. Preheat oven to 200 C / 250 F. Line a baking sheet with parchment paper. 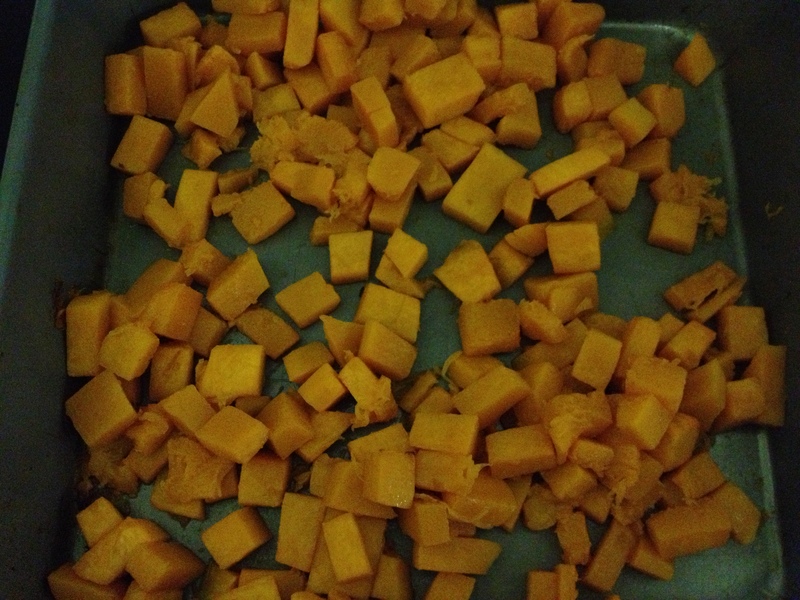 Spread butternut squash on baking sheet. Spray with cooking spray and sprinkle with salt and black pepper. Roast for 30 minutes or until fork-tender. Remove and set aside to cool a bit. In the meantime, heat a medium-large pot over medium-high heat and spray with non-stick spray. 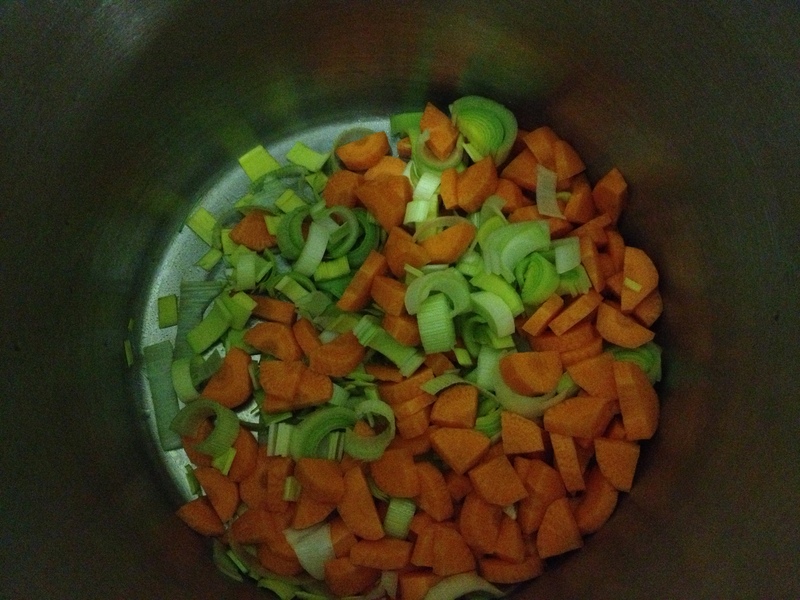 Add in the garlic, leeks, and carrots. Sprinkle with salt and pepper. Cook until they start to soften, about 5 minutes. Add in the canned tomatoes and their liquid and the herbs. Bring to a boil. 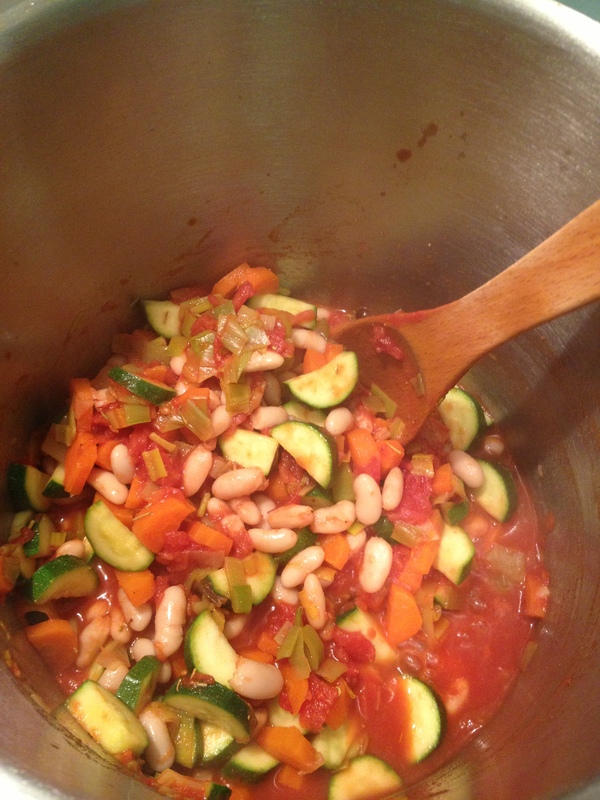 Add the zucchini and beans and bring to a boil again. 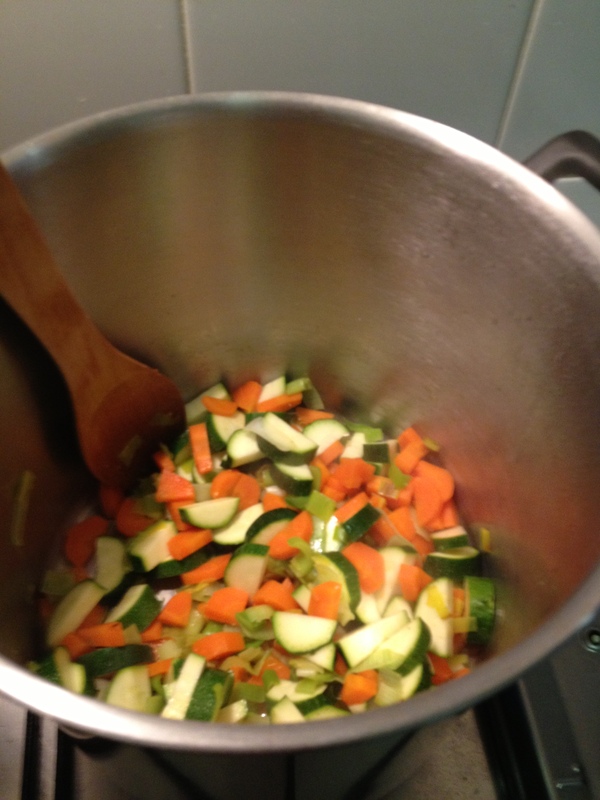 Reduce the heat so that the mixture bubbles gently but continuously. Cook for about 15-20 minutes until everything is tender. I added my zucchini later than the original recipe called for because I hate mushy zucchini. Add the butternut squash into the mix. Simmer for another 2 minutes, stirring. and taste and adjust the seasoning if necessary. I made this to have a few go-to lunches during the week, but it would be a nice autumn/winter meal as well, perhaps served with some fresh bread on the side. I like how hearty it is without having any meat in it!